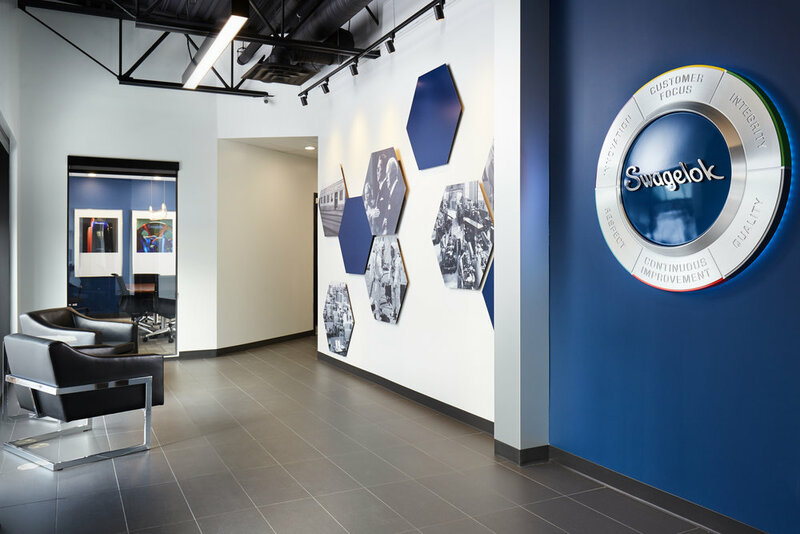 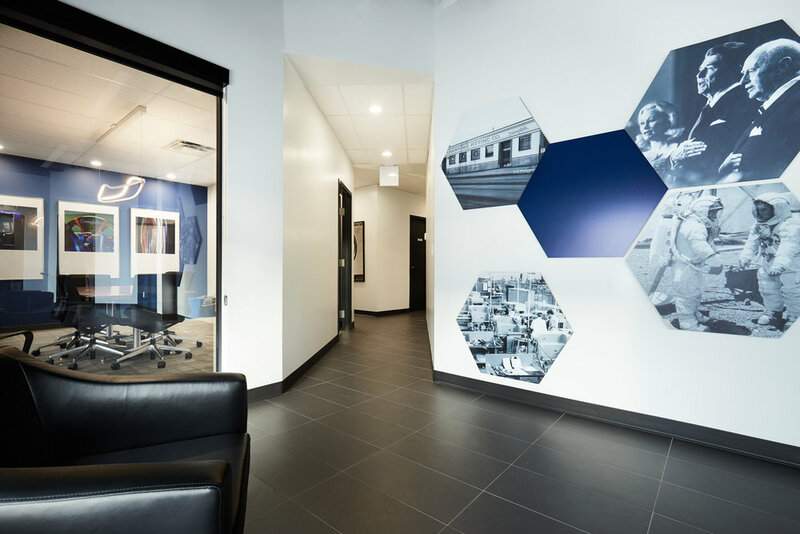 A full renovation of this training facility transformed the work place. 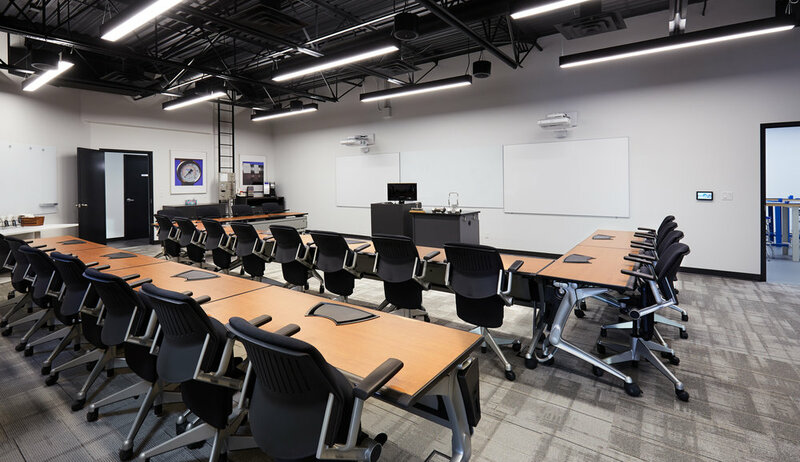 A brand new, sound proof training classroom with modern technology integration was completed accompanied with a hands-on training room. 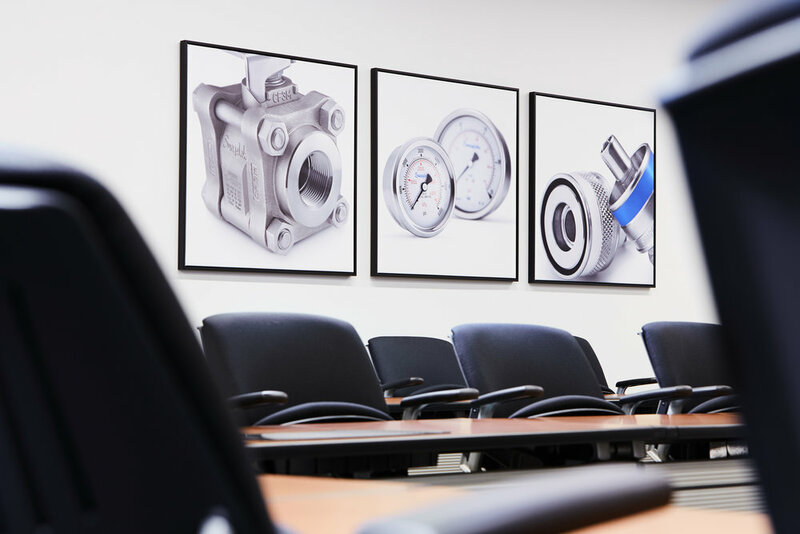 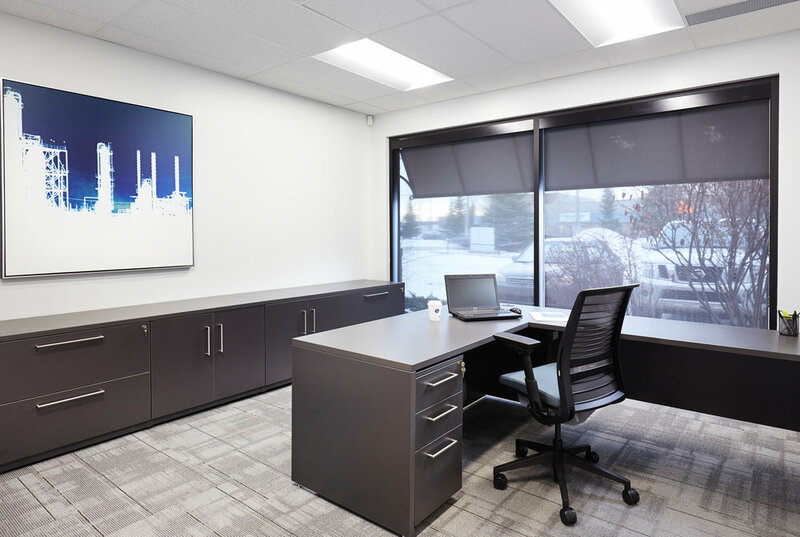 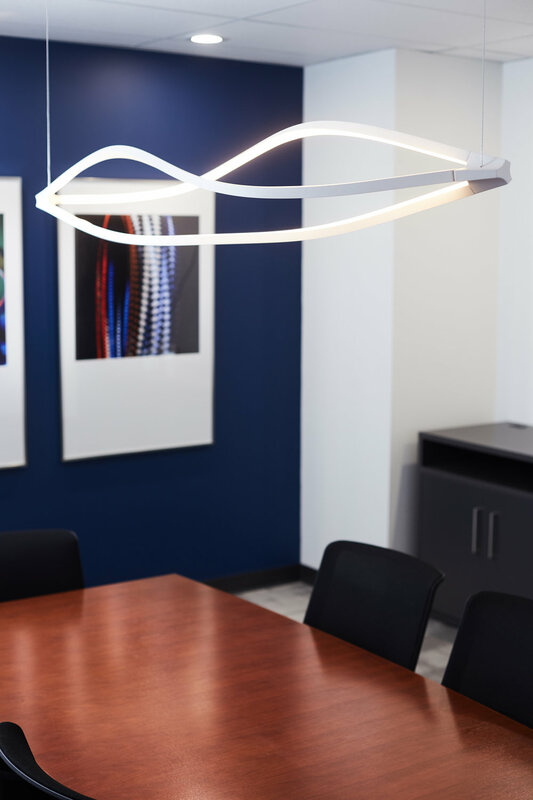 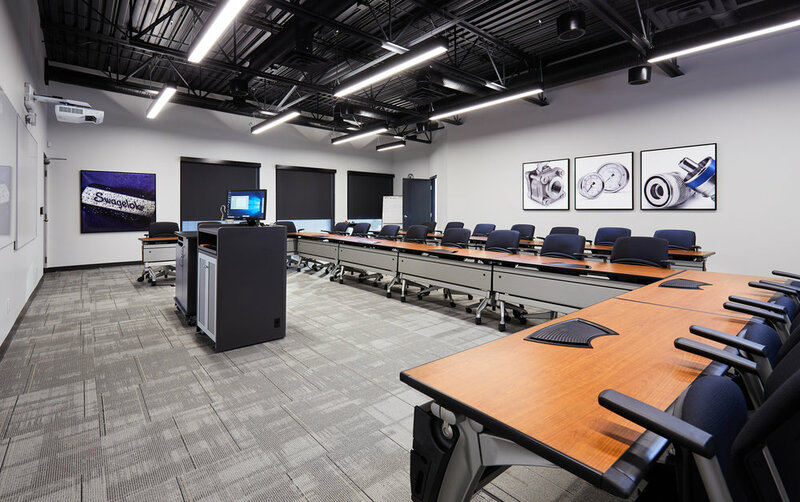 The sound proofing of the training rooms and warehouse were critical to our client to ensure that work conducted in the offices and boardrooms were not negatively impacted by noise. 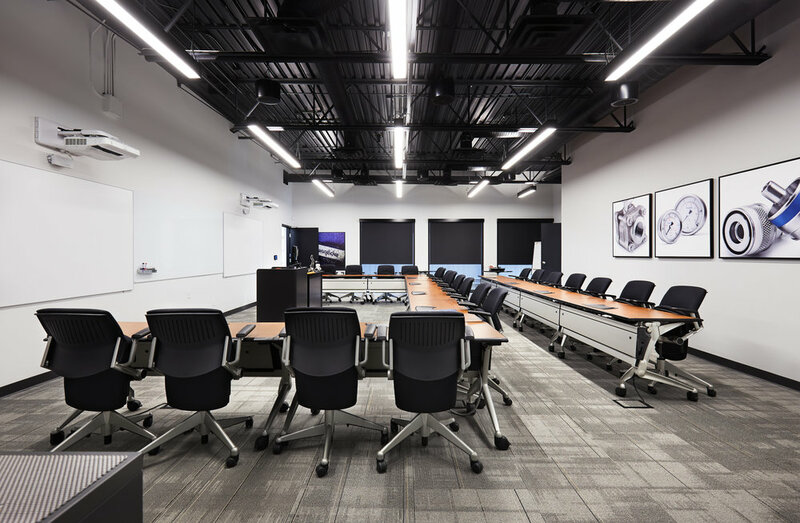 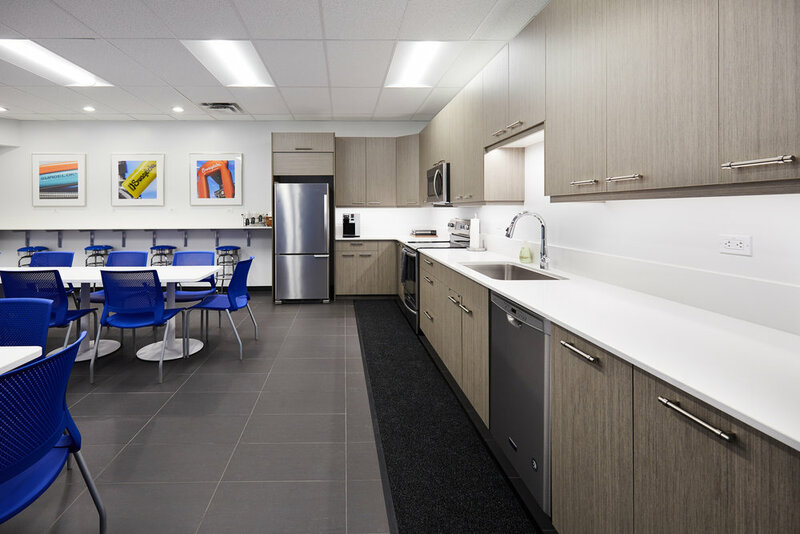 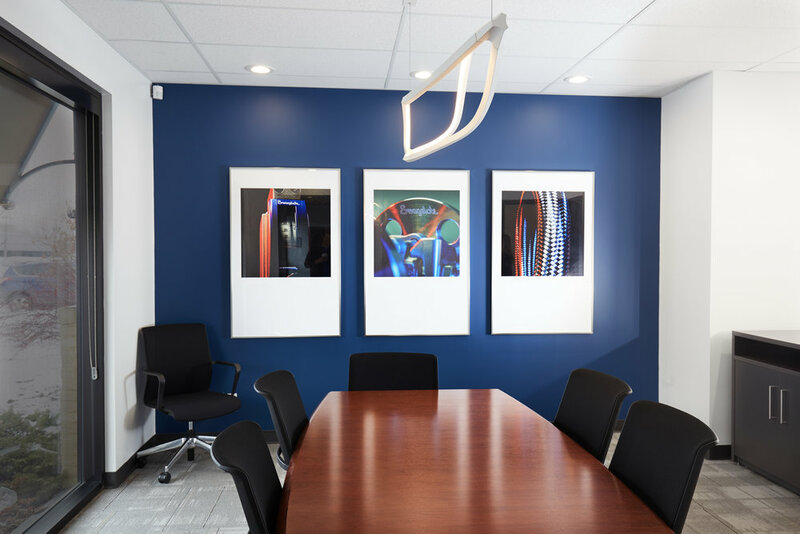 The open concept kitchen, updated board room, new offices and washrooms are just a few of the other upgrades implemented at this new training facility.